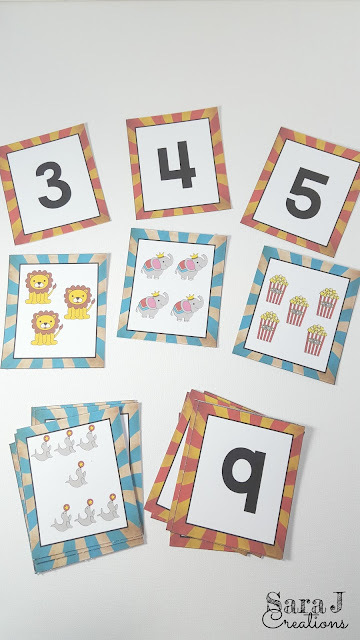 We are working on a little circus themed fun for the next few weeks. The circus is coming to town this weekend and we are surprising the girls by taking them. I wanted to focus on numbers 1-10 and making sure K could put the numbers in order and match the number to the corresponding picture. 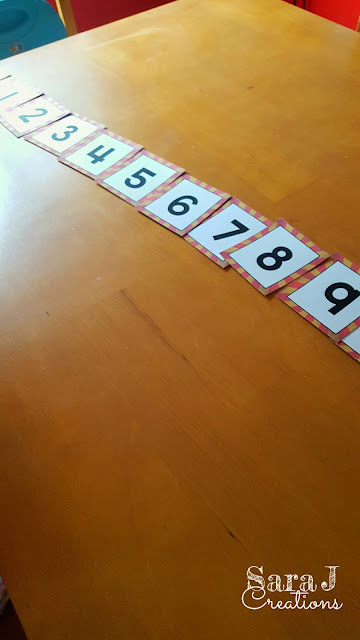 First, I had her put the numbers in order. 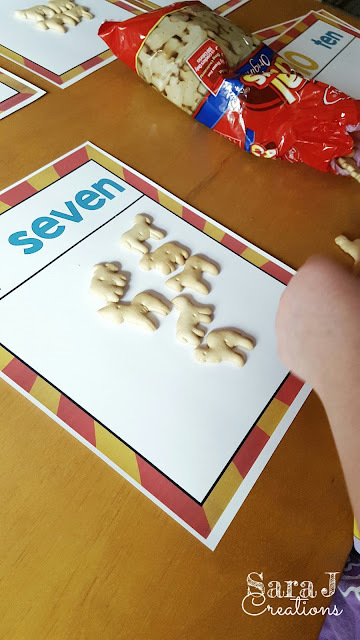 At first, my little lefty started putting them right to left. I switched it around and showed her how to start from the left and then she got it. Next, I had her match the picture to the number. She is pretty good with 1 to 1 correspondence but sometimes skips a picture or counts it twice. 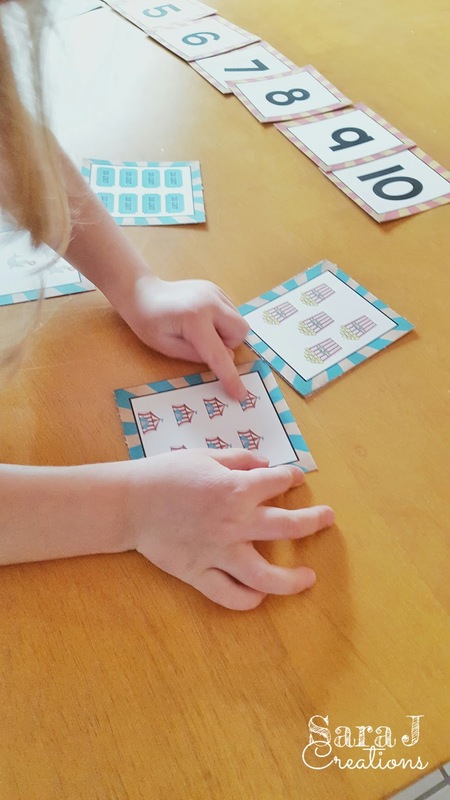 I think this was a good practice for her to get her to slow down and double check her counting. After that, I had her count out animal crackers to match the numbers. Again, she needed to double check at times and made sure she wasn't miscounting. She was motivated to get this done because she wanted to eat some crackers and I told her I could after she finished. This was just a quick practice that took us about a half hour total to do all the different parts but it was a good review of the numbers and taking her time when she is counting. 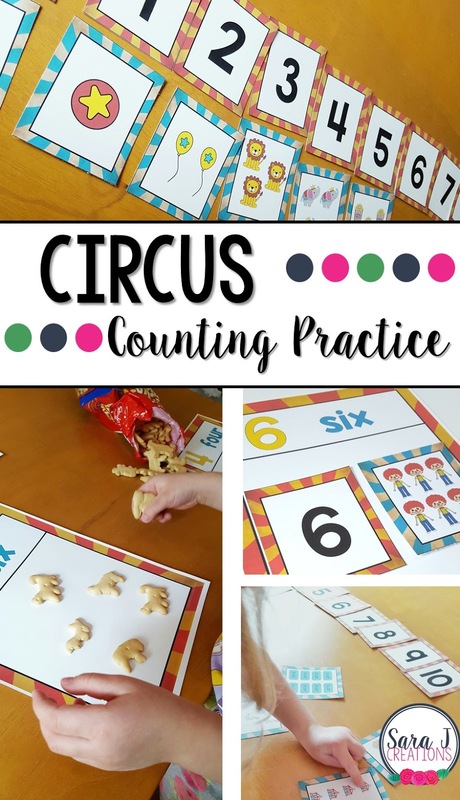 These activities are part of my Circus Preschool unit that you can find HERE. 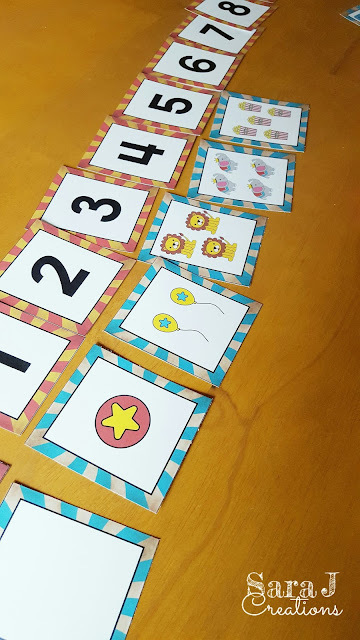 I've included the number cards and matching pictures as a free sample for you to try. 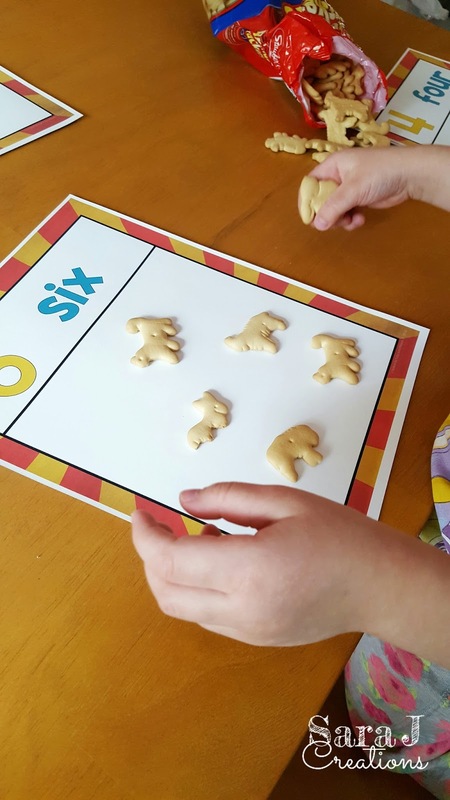 These are great for matching, sequencing, finding missing numbers, etc. Click the button below, enter your information and the cards will be emailed directly to you.